Exomotive - US Manufacturer of Exocars & Kit Cars | Packing it up! 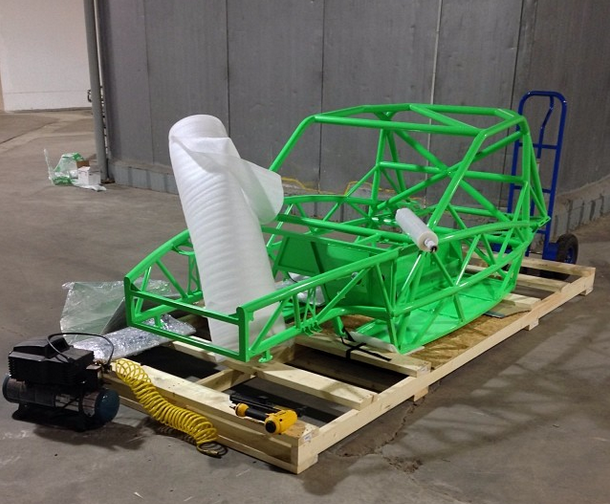 Packing up An Exocet Race chassis coated in Prismatic Powder’s Neon Green. Love this color – the same one we have on XP-3, our current development car.